Pip Mutch was born and bred on what she calls the best hills for horse riding - maybe that's why it's a family affair. 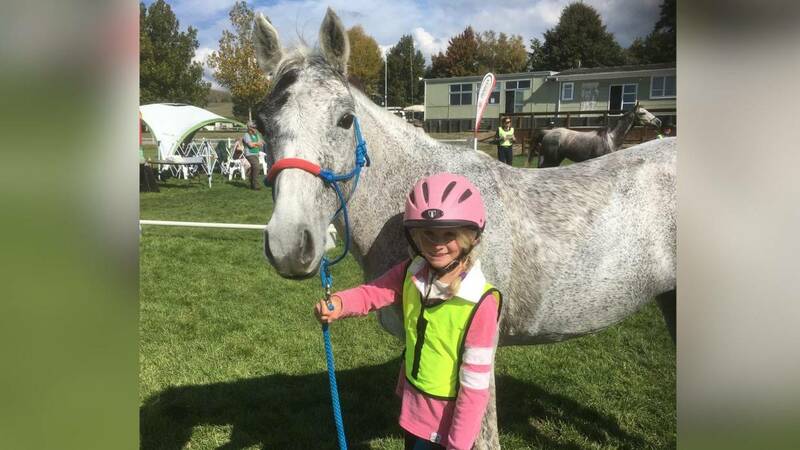 Mutch has been named the New Zealand Endurance Horse Riding Champion after a 160 kilometre, nearly-11 hour ride at the national competition in Taupō at the weekend. The FEI has announced a new adverse analytical finding (AAF) involving an equine prohibited substance. The case involves a *Banned Substance under the FEI’s Equine Anti-Doping and Controlled Medication Regulations (EADCMRs). The athlete has been provisionally suspended as both Person Responsible and Trainer from the date of notification until the FEI Tribunal renders its decision. The horse has been provisionally suspended for two months from the date of notification. Clean Endurance, a group which has pushed for reform to rein in cheating, doping and horse abuse within the discipline, says it welcomes the findings of the Endurance Temporary Committee (ETC). The ETC was appointed by the FEI in October last year in a bid to find solutions to ongoing welfare issues and reputational damage to the discipline, much of it arising from the fast-style desert racing centred on the Gulf region. It presented its extensive findings this week, on the second day of the FEI Sports Forum in Lausanne, Switzerland. Clean Endurance said in a statement that it was heartened by the FEI’s expression of its intent to move Endurance to a better place. “How do we shift the focus of endurance away from racing and more to completion and riding?” was the question at the heart of the endurance discussions at the 2019 FEI Sports Forum, held April 15-16 in Lausanne, Switzerland. In the hopes of pushing forward proposals that would help ground the discipline in its roots, the Sports Forum spent an unprecedented entire day devoted to a single topic. After years of endurance turmoil, including many horse welfare issues and the cancellation of the championship at the 2018 FEI World Equestrian Games (North Carolina), the FEI Bureau announced that it had set up the Endurance Temporary Committee on Oct. 22, 2018, to assess the sport through an in-depth review of rules and research. A complete change in mind-set is at the heart of the endurance reforms presented at the FEI Sports Forum earlier this week. New measures will require horses and riders to upgrade by demonstrating consistency, with speeds capped at 18kph until they reach a 66% completion rate. This will force a radically new outlook on the younger generation, few of whom have experienced the slower-paced, classic form of endurance. If passed, the new rules will also seriously impact on the practice of racing “strange” horses at the upper levels – the norm in desert endurance. This and other moves – notably curtailment of mobile crewing, breaking up “cliques” of officials, and emphasis on the horse-rider partnership – are likely to meet resistance from the FEI Group 7 countries (Middle East) in months to come. Clean Endurance is heartened by the FEI’s expression of their firm intent to move Endurance to a better place. The long list of proposals from the FEI Endurance Temporary Committee (ETC) presented during the second day of the FEI Sports Forum 2019 aims to combat the cheating, doping and abuse still rife in endurance. A large number of the most common abusive and fraudulent practices were documented in the “A to Z guide to spotting Cheating and Abuse” published by Clean Endurance in August 2018. This guide (attached) was produced in response to the many enquiries Clean Endurance receives from spectators, stakeholders and volunteers who are present at competitions and wish to assist the FEI in the fight against violations. Clean Endurance applauds the emphasis on horsemanship and horse welfare the various members of the Endurance Temporary Committee made the centre of their respective presentations – ensuring these values come back to form the foundation of Endurance is the only way the sport can survive and thrive in the future. Nearly all of the proposals brought forward by the Endurance Temporary Committee (ETC) have in the past been suggested to the FEI by Clean Endurance, albeit often in more stringent versions. These include qualifying as a combination, imposing minimum weight limits to reduce speeds, limiting the number of starters, imposing longer minimum loop lengths and more phases in the competition, limiting the number of crew members, shortening presentation times and lowering maximum heart rates, not allowing second presentations at Vet Gates, the introduction of tack and blood rules, extending the time limit for reporting rule violations and increasing sanctions for horse abuse. Clean Endurance encourages and supports the FEI in taking forward the proposals as they stand today, with one caveat: the completion-rate based qualification is potentially cumbersome for Organising Committees and Officials and is thus vulnerable to fraud. Regrettably there are already many recorded examples of falsified qualifying results in our sport. Clean Endurance recommends instead the FEI examine the French ranking system for lower level National rides, which incorporates speed AND heart rate recovery. This system has worked on set speed rides in France for over 20 years, can be easily adopted for free speed rides, and rewards strategic riding and horsemanship without the need for capping speeds. Clean Endurance has also asked the FEI to be mindful of the unintended potential negative consequences of extending the Mandatory Rest Periods (or ‘Mandatory Out Of Competition Periods’ as the current proposal names them) as they can potentially penalise amateur riders who compete only 1 or 2 horses, as well as the OC’s who put on technical, ‘old school’ rides to cater for this group. It would also like to see the re-introduction of the 2-hour mandatory waiting period for invasive treatment after a horse has placed at an event. Far too often today, horses are in the clinic hooked up on drips while their ‘victorious’ riders are on the podium receiving their awards. Not allowing immediate invasive treatment will encourage riders to slow down and thus protect the horses. The details of the many rule change proposals still need to be worked out by the ETC before the consultation process with the National Federations starts in early July. Clean Endurance urges anyone with an interest in the sport to provide their comments and suggestions to contact.cleanendurance@gmail.com, to the FEI at endurance@fei.org, and to their respective National Federations who will ultimately vote on these proposals at the FEI General Assembly in November 2019. Clean Endurance is a global collective of volunteers who are committed to restoring the traditional values of their sport. It has an informal working relationship with the FEI: several recent FEI rule changes, procedures as well as sanctions have been developed from matters they have raised. Clean Endurance is happy to supply links for further reading, including coverage in bona fide news media. Clean Endurance also welcomes comments and suggestions.